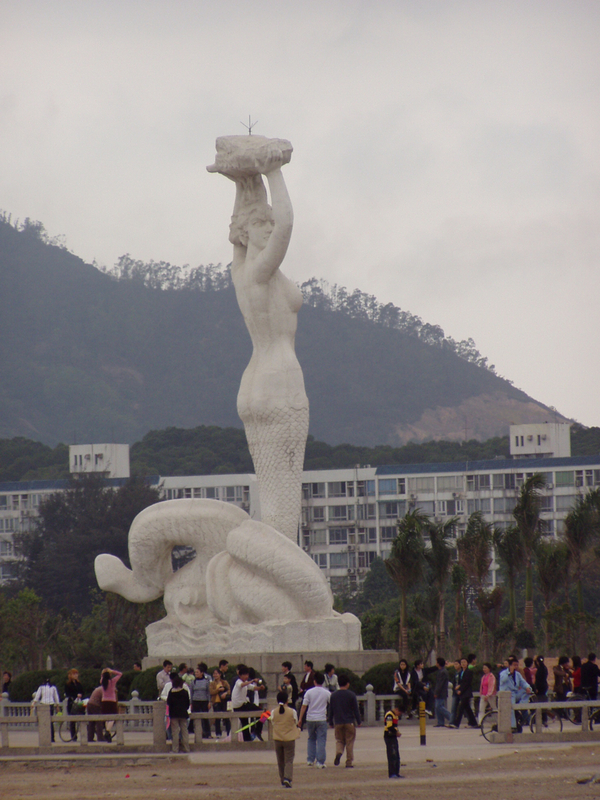 Shekou Mermaid Statue in Shenzhen. Photo by William Long. The sculpture is about 40′ tall – and that doesn’t take into account the curled tail. It is 22′ wide. 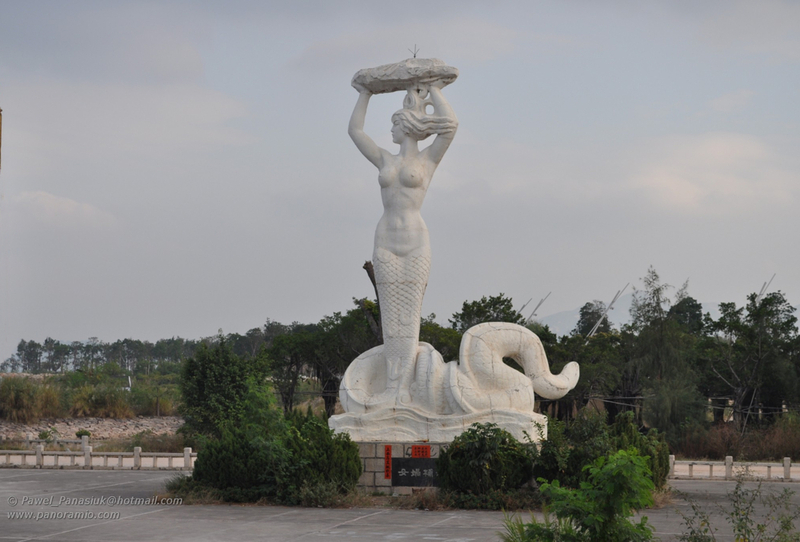 She is one of the largest mermaid sculptures in the world – rivaled to my knowledge only by two mermaid sculptures in India, the Jalakanyaka in Mahatma Gandhi Park and the Jalakanyaka at Thiruvananthapuram. 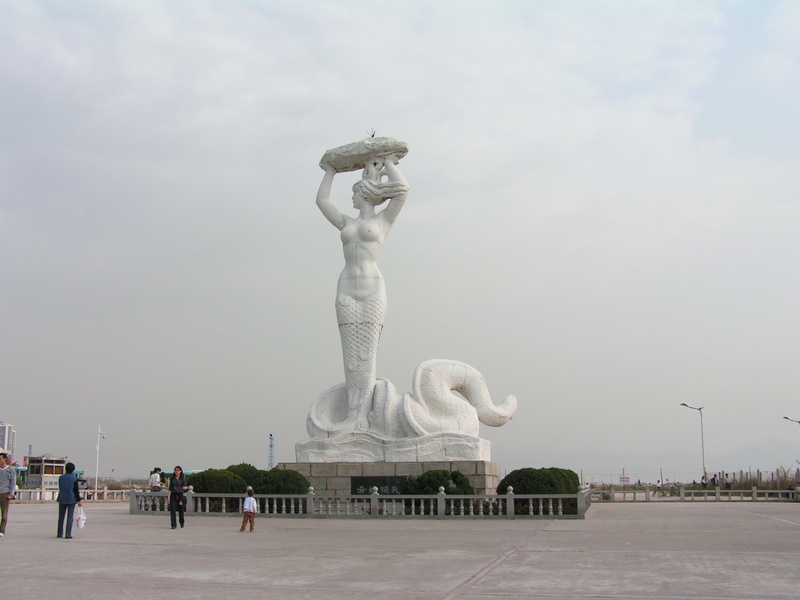 Asia seems to have the monopoly on giant mermaid sculptures. This one was built in 1986. There is a curious antenna-like three-pronged device sticking up at the very top of the statue. Lightning rod maybe? There are many stories about Nüwa. One, from about 300BC states that Nüwa molded figures from the yellow earth, giving them life and the ability to bear children. After demons fought and broke the pillars of the heavens, Nüwa worked unceasingly to repair the damage, melting down five-colored stones to mend the heavens. Shekou Mermaid Statue in Shenzhen. Photo © by Paul Prengel. Shekou Mermaid Statue in Shenzhen. Photo © by Pawel Panasiuk. 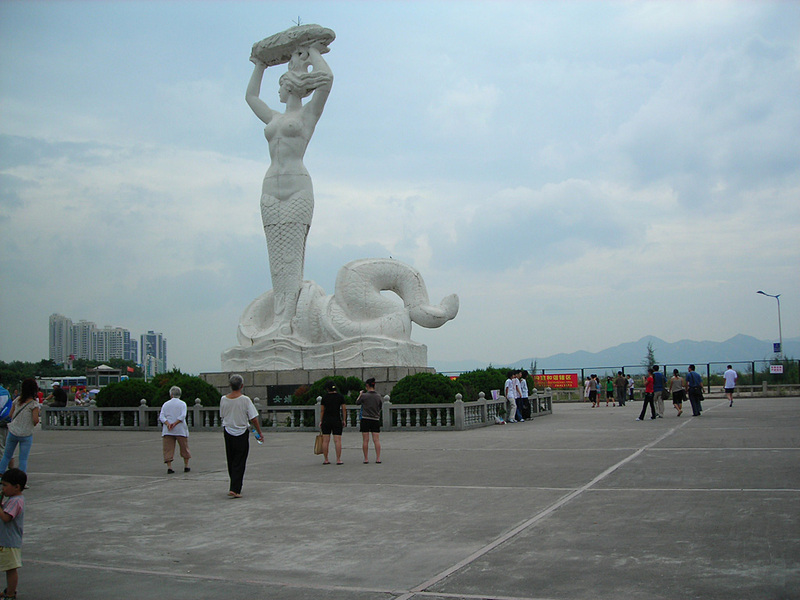 Shekou Mermaid Statue in Shenzhen. Photo by Minginfo.